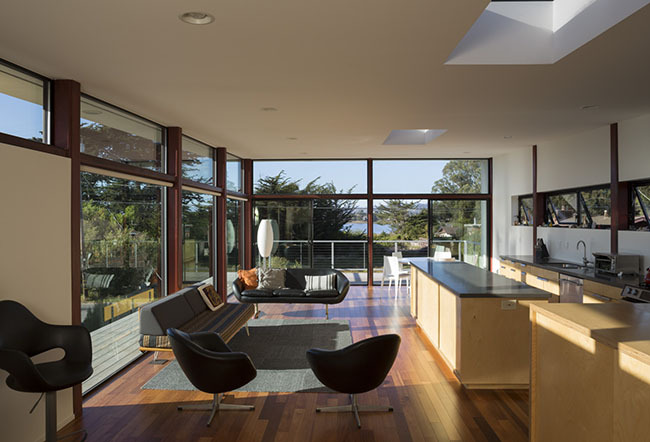 A private residence that overlooks the ocean south of Morro Bay. 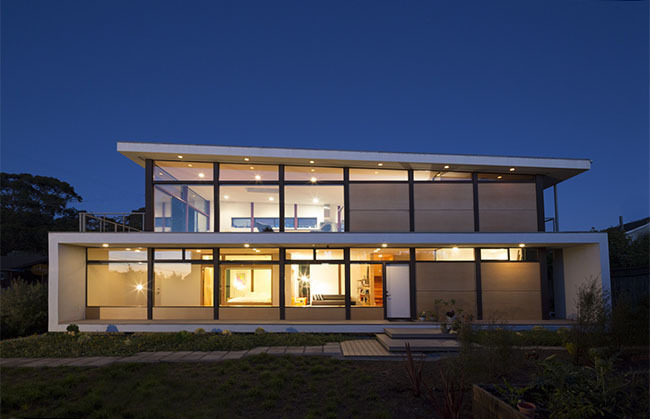 We designed the house as an open rectangular cube with a public and a private facade. The narrow front facade faces the street and the open long facade looks into an enclosed yard and garden area. 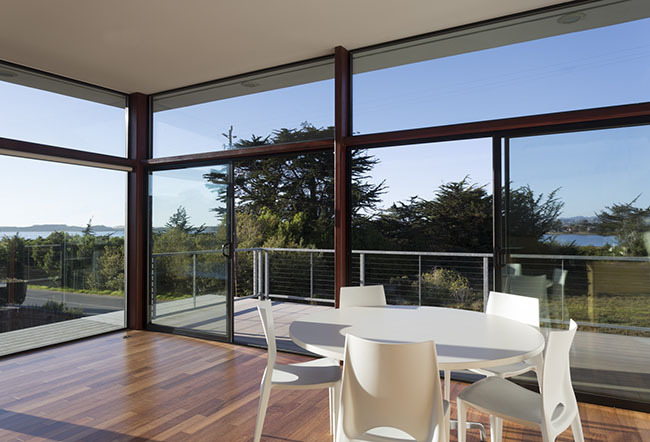 Uninterrupted views of the bay and surrounding coast are visible from the upper level. A generous wide hallway on the ground level provides room for family activities and informal social gatherings to happen with open views to the garden.